Saint Mary’s professors took an immersive trip to the U.S.–Mexico border to investigate social justice concerns regarding cross-border migration policy through the lens of Lasallian Catholic traditions. 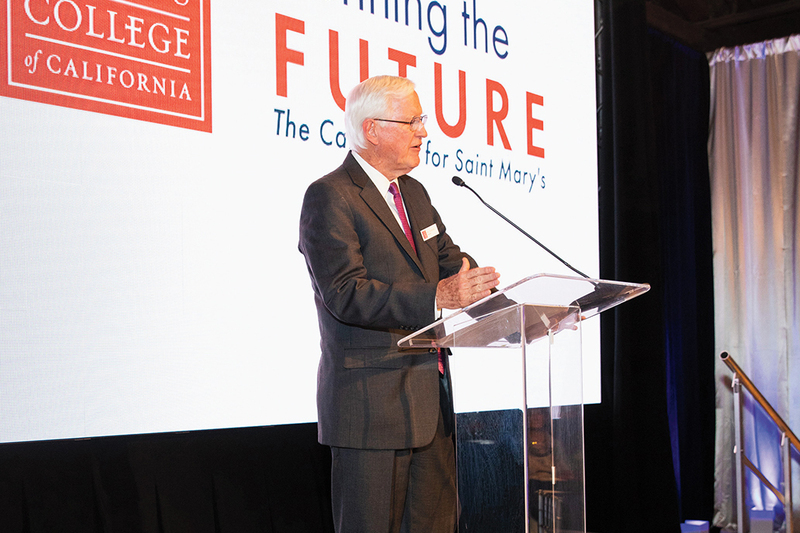 On April 21, 2018, Saint Mary’s College held a celebration on campus to announce the public phase of Defining the Future: The Campaign for Saint Mary’s. Rarely does a death hold such hope. The year 2019 marks the 300th anniversary of John Baptist de La Salle’s entry into eternal life. The #300LaSalle celebration will include special events and renewed commitments in Lasallian communities around the world. Saint Mary’s College Recognizes Joan Peterson With the Professor of the Year Award. More than 620 alumni, family, and friends returned to campus in July for Reunion Weekend 2018. Alumni traveled from 20 states and as far as Spain to relive their student experience and rekindle long-held friendships. The class of ’98 came out in force representing the largest class in attendance with 56 alumni participating. The Saint Mary’s magazine explores the character, vitality, mission, and news of the College with its readers, who include alumni, friends, faculty, and staff, current students and their parents. The publication’s primary visual language is photography, while also employing art to vividly tell the Saint Mary’s story. To learn more or reach the editors, email us at magazine@stmarys-ca.edu or give us a call at (925) 631-4278.